For updates on new horses, the European horse market and equestrian events. Are your requirements realistic with the budget you have? To reduce the price for a horse you can think about reconsidering some of your strict requirements. Most horses between 6 and 10 are more expensive than a 5 or a 12 yr old. Also think about the training level: It is often less expensive to send a horse to a trainer for a month to work on the flying changes, than to buy a horse that is confirmed 4th level. So, it may be sensible for you to either go with a little bit older or a little bit less experienced horse to stay within your budget! The only thing you will have to do is be very specific in what you are looking for! Is a flying change a must have? Does the horse have to be a schoolmaster over fences? Is trail riding experience a requirement? As soon as we know your requirements we will send you information on the horses in our current selection that meet these requirements. About two weeks before your trip we will start the real search; we do pre-visits to the barns and make short video clips so that you can see the horses we have selected. Make sure you know what kind of horse you are looking for, AND make sure you have clearly described this to European Horse Trade! prepare for a purchase: do I involve my own vet? Are my funds available? Insurance? Is my trainer available to see some videos? Once in Holland you will see up to 8 horses per day. The days will be long. We recommend taking many (mental or written) notes about each horse! At the end of each day, review your videos and make a shortlist of candidates. Please let us know immediately which horses can be deleted from the list and which ones are of interest so that we can inform the owners. On the last day there is usually time to try the most interesting horses again! We do recommend that you involve your own trainer. The amount of involvement is up to you. For most people setting requirements, showing the video’s and discussing preferences is enough. Some people bring their trainer on a trip to help choose a horse in person. 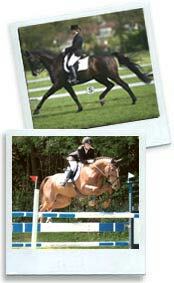 Find the right dressage horse or that perfect hunter/jumper! Having a hard time finding your next Dressage partner in the US? We guarantee to show you up to 15 horses that meet your requirements in 3 days! Whether you are looking for a flashy prospect with FEI potential or for that 4th level schoolmaster with great changes and extensions, we know where to find them! Still looking for that great amateur Jumper with a super mind, good scope and auto changes? No luck in finding a Hunter with the perfect conformation and form over fences for a reasonable price? Why shop in Europe? Because in three days you’ll see up to 15 horses that meet your requirements, AND for a better price too! Great selection of warmblood horses for sale! Call or e-mail us for our sales list. Currently over 150 horses avaiable! athletic capabilities. 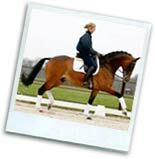 Great movers with lots of front and expression are bred to excel in dressage. Brave jumpers are selected at an early age for their strength and jumping techniques. Hanoverian, Oldenburg, KWPN ( Dutch Warmblood ), BWP ( Belgian Warmblood ), Swedish warmblood, Trakehner, Westfalen and Selle Francais. NEW: many video’s available! Give us a call and we will send them by e-mail, snail mail or via Internet. Several young hunters and jumpers! 7 yr old bay mare by Nassau, 16.1 hds, showing 4’4″! View our FAQ for answers to the most popular questions about buying a horse in Europe and a list of useful links. Copyright 2011 European Horse Trade. All rights reserved.